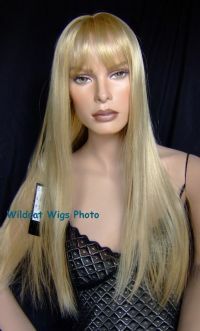 Gorgeous quality with with a centered partial skin part. 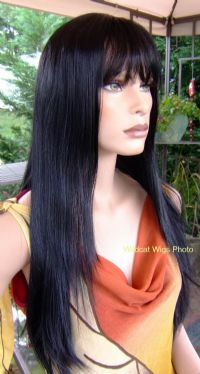 Long straight flowing layeres and bangs. About 30 inches at longest area. Outstanding quality! Allow up to 2 weeks for delivery because this will need to be ordered from my supplier in your color. Let me know if you has a second color choice if your first color is currently not available.